Quite a few people I know are getting married these days. 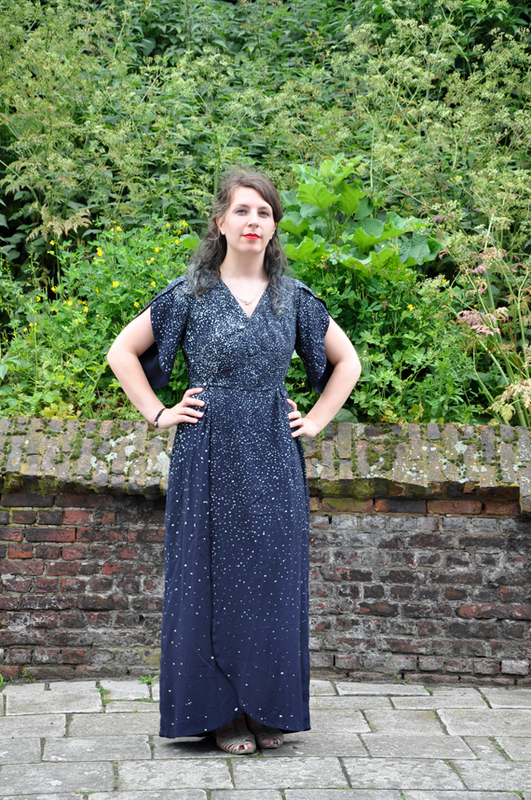 Which is awesome, because it gives me a reason to sew impractical fancy dresses I'd never get to wear otherwise! And also, you know, love and stuff. That as well. Joost was sweet enough to invite a few sewing friends to his amazing wedding a while ago, and even though we all knew a long time beforehand there were still a few late nights involved to get our outfits finished! I knew exactly what I wanted to do but just... Didn't get around to it in time. It happens. Here's the result though, and I'm thrilled! Look, here's a super dramatic photo that doesn't really show any details at all. I call it 'building the tension'. 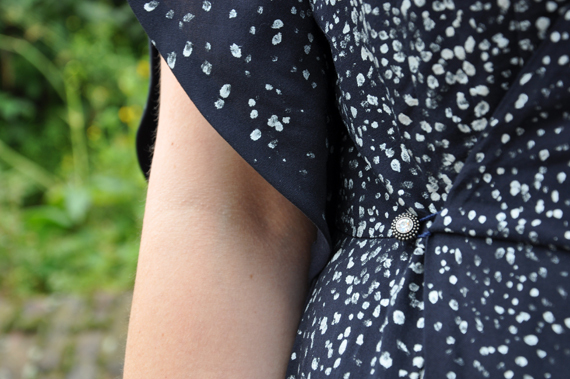 I made a silk Nicola dress a few years ago (for another wedding) and thought it was a perfect pattern for such an occasion: nice and dressy, a few special details and not too fitted so I can eat lots. Winner! 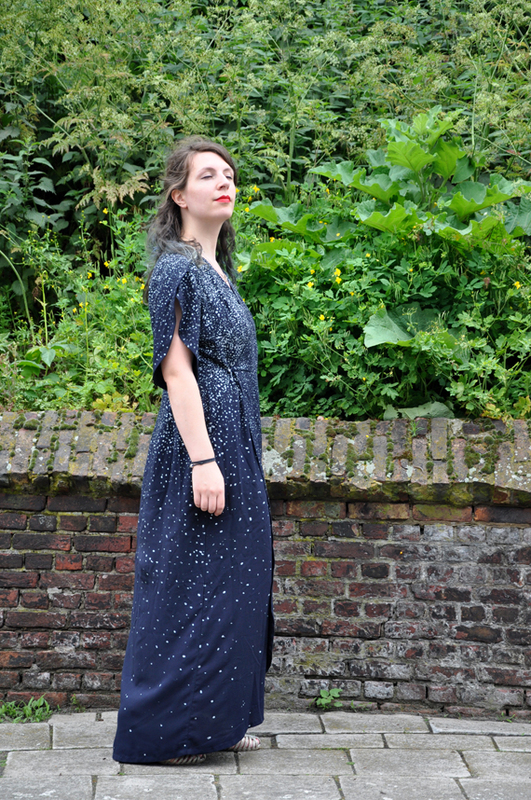 This time I decided to lengthen it into a maxi for extra drama. In the end I bought a very budget-friendly navy woven viscose and went to town. The sewing came first, and was pretty uneventful. I tried on my first version of this dress and found it was a bit too large, but this was solved by making the overlap a bit bigger (which also solved the cleavage problem I had before!). To lengthen the skirt I just measured how long it should be in the back, chopped the skirt pieces in two and lengthened accordingly. Sewing this was really quick, especially once I got past all those darts! I followed the instructions, using a slightly crisper cotton for the facings to help the drapey viscose keep it's shape, and didn't line the skirt for maximum flowiness. 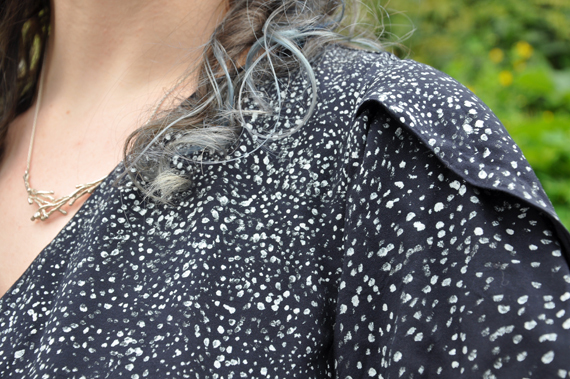 The sleeve hems are finished with a self bias binding that I handstitched in place instead of topstitching. This was going to be a FANCY dress, and topstitching felt too... Easy. Haha! For the hem, I turned it under twice and did even more handstitching. Still not as much work as the painting! 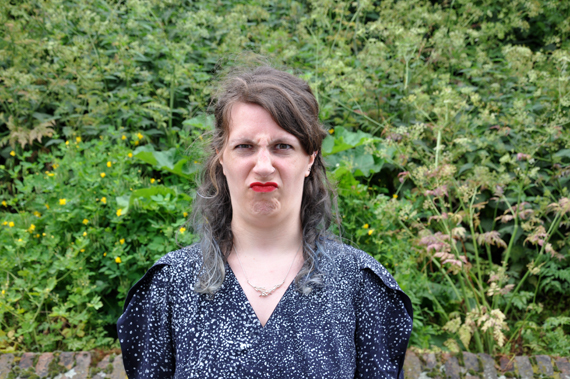 That was basically my face at one in the morning when I realised I had not even done the sleeves yet. 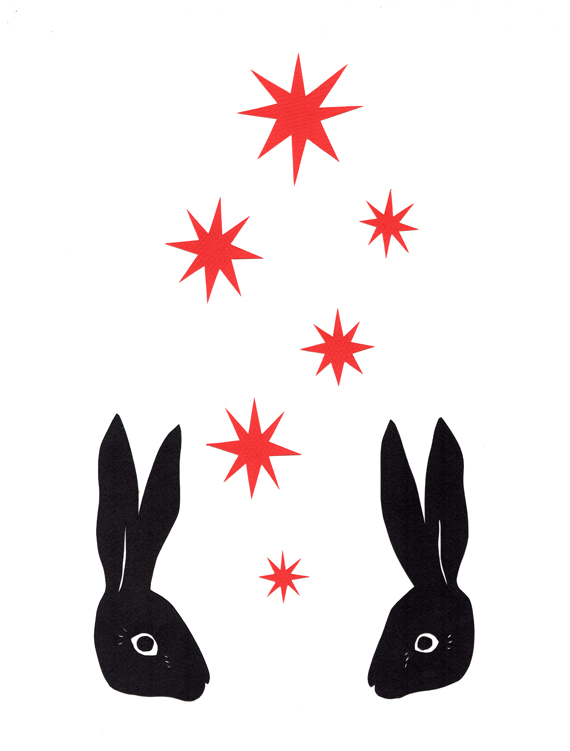 At first I had these ideas of painting stars or florals all over it, but the tiniest hiccup on that would look very amateurish very fast, and I had no time for a backup. So in the end I took a small brush and silver textile paint and just made a stippled gradient from the shoulders to the hem of the dress. It looked a bit dandruffy when I started but the finished effect is really nice! A cosmic dalmatian, thus explaining this post title. I used two dainty buttons, one for closure and one for symmetry, and made my first thread chain ever. It was super easy and quick to do, but I made it a tiny bit too large I think. I made a sudden movement during my bike ride to the venue and almost flashed a park full of children. True story. Speaking of bike rides, this dress sadly isn't that bike friendly. I used a safety pin to keep it closed and my underwear hidden, but removed that as soon as I arrived. There were no problems while standing/walking/eating/dancing though!